UK supermarket Waitrose has overhauled its spirits range in a bid to boost its falling market share of the category, strip out duplication and stand out from the competition. 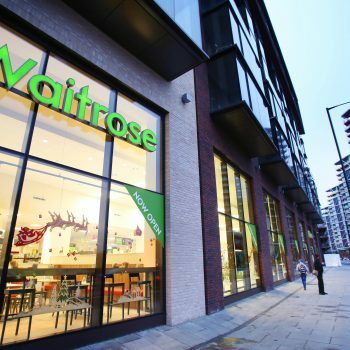 A Waitrose spokesman told db the recent range review would ensure the line-up was “absolutely right” for its customers as well as being differentiated from its competitors. She confirmed it had removed 54 lines in order to remove duplication while adding 37 new products, focusing primarily on more premium lines, with 15 lines extended so they are available in more shops. The move, which was first reported by trade publication The Grocer, is also expected to boost the upmarket retailers’ market share of the spirits category, which dipped 0.2% last year, according to data from IRI. It currently stands at 4.2% in spirits, Waitrose confirmed to db, down by -0.2% compared to a year ago, in the 52 weeks to 26th January 2019. “We’ve continued focus on providing more premium lines across all spirits, and increasing space in both the gin and rum categories, areas that have continued to see strong growth over the last year in Waitrose,” a spokesman told db. “We expect this 0.2% to return very soon with the changes we’ve made,” she added. The supermarket has also altered the way it ranges drinks to make it easier for consumers to navigate, grouping areas together such as flavoured gins, which it said had become “a destination sector within spirits over the last year”. Earlier this month it revealed it had added Fairtrade spirits into the range for the first time, with the launch of two drinks from Fairtrade producer Fair – a Vodka, and Café Liqueur, from UK supplier Mangrove UK, and last year added a Mezcal for the first time, tipping the ‘hip’ Mexican spirit as a major trend set to hit the UK in the coming year. The revamped range is available in store now.